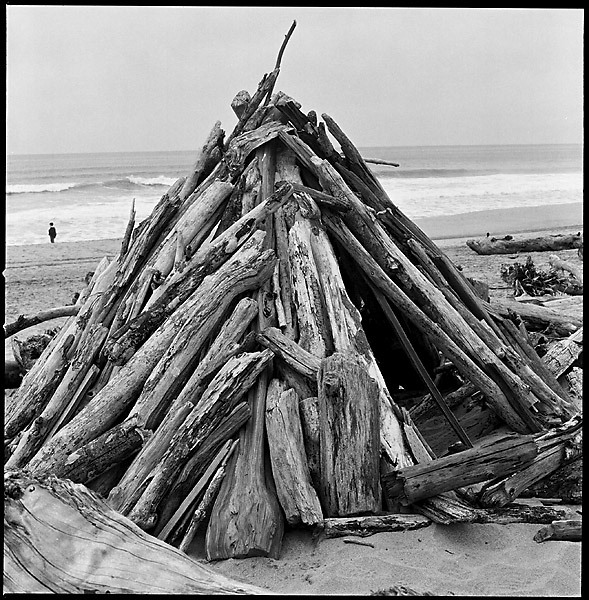 Driftwood Hut II: Another shot of the beach teepee. Snapped on: March 20, 2005. Hasselblad 503cx, Planar 80 C T* ISO400, Ilford Delta 400 Pro film, Developed with TMax Dev 1:4 6.5min @ 20°C.